Whilst the drop in pound against the euro in the past month has undoubtedly been bad news, savvy property hunters can remove the sting of the currency loss by taking a loan – and one at an historically low rate. 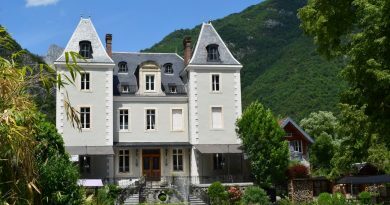 Last month fixed-rate French mortgages dropped to less than 2 per cent – with loans available from as little as 1.70 per cent with 80 per cent LTV on a 20-year term. Financial experts have crunched some numbers and calculated that the drop in payments on a loan throughout its term (from 2.7 per cent last year to 1.7 per cent now) more than compensates for the drop in sterling value. The lower the deposit, the less your exposure to the exchange rate too – why not wait til the rate improves then pay off your loan then? In the meantime you can earn some local income. ← Le Beaujolais Nouveau has arrived!